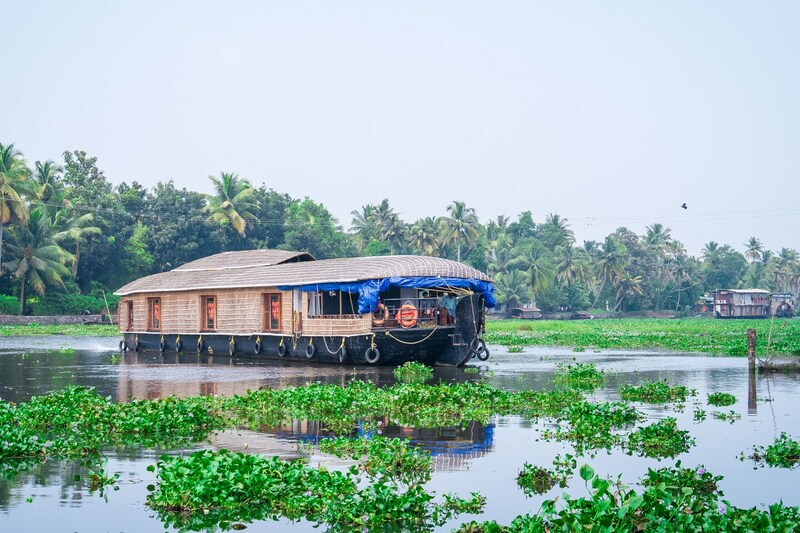 Houseboat Ganga Deluxe promises you a dreamy stay floating on water in the middle of lush green Alappuzha. As the name suggests, it is in the middle of a stunning freshwater lake near St Anthony's Church with super clean and comfortable rooms. A spacious dining room fitted with TV will give you a place to hang out and feast on popular delicacies. The beautiful deck is a mix of the modern and old, with comfortable sitting arrangement. The major attraction in the area is Kuttanadu Paddy Field where the farming happens below sea level. You can also visit the 11th century Lord Buddha Stature called _Karumadikuttan_.